Outdoor Research best sellers, the Arete Gloves are among the most versatile alpine gloves available, offering grip, dexterity and waterproof protection for extended backcountry adventures. 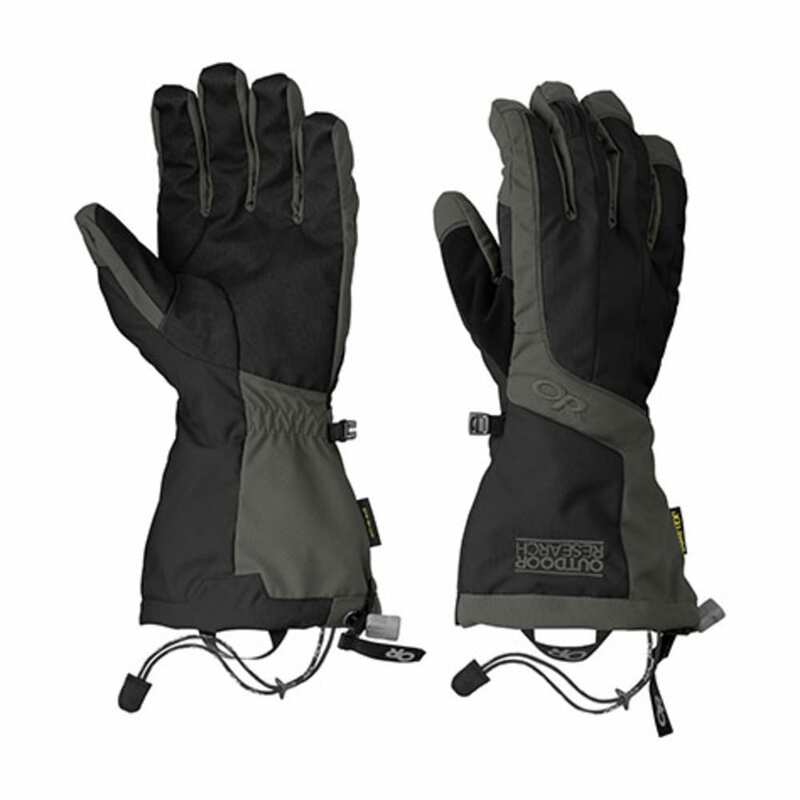 Light 100-weight fleece insulation keeps hands warm in intense conditions, and a silicone grip palm on the liners allows them to be worn independently from the shells on warmer days. Avg. Weight (pair): 8.4 oz.